The way work gets done is changing -- and the practice of management has fallen behind. In this issue of The Real Future of Work, discover the state of performance management in four of Europe's largest economies -- the U.K., France, Spain and Germany -- and learn how to overcome the obstacles to your people analytics programs. How are outdated performance management practices holding you back? Why do your employees need more opportunities to learn and grow? Why are great managers more important than ever? 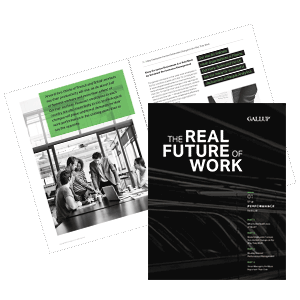 The Performance issue of The Real Future of Work answers these questions and more.